“Fujikura is the world’s leading manufacturer of fused silica-based coherent image fibers. Suitable for use in both medical and industrial applications, Fujikura’s Image Fiber range has excellent image carrying characteristics with low transmission loss and high mechanical durability. Fujikura image fibers are manufactured for use in a variety of medical and industrial instruments, the range extends to radiation-resistant fibers for use in harsh environments”. 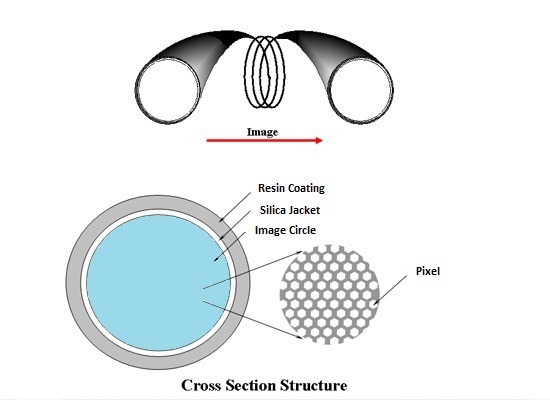 “Each Image Fiber Fujikura manufacture’s can be tailored to meet the needs of their customer’s individual application. Separate elements can also be assembled to create either a semi-manufactured product or even a complete fibrescope“.